Back Trolling for salmon is one of the most effective ways to present your bait to the fish. 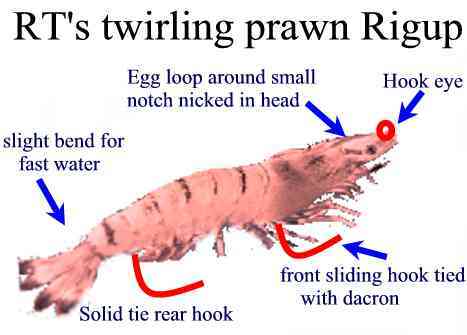 Typical baits include herring, prawns, sardines and sand shrimp. Baits can be oil injected, cured in different chemical solutions or used naturally. The above picture is a diagram of a springer set up used by Steve Hanson "Reel Truth" during his guided fishing trips. Give it a try for springers in your favorite stream.